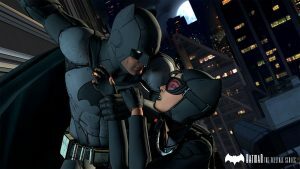 San Diego Comic-Con typically offers a lot of public video game activity, but one of the exclusive gems of this year’s show was Telltale Games’ “crowdplay” event to show off their upcoming Batman series. Those lucky enough to snag a wristband to the event were treated to something fairly nice: the entire first episode, entitled Realm of Shadows. We won’t get into much detail about the episode here; we’ll save that for our review after the game drops in early August. But what we can tell you is that it is an absolutely fantastic start that could potentially set up one of the best Telltale series to date. The series will focus on a somewhat younger Batman, but really Bruce Wayne, more than we have seen in other Batman games. He’ll be at the earlier stage of his career as the Dark Knight, as he has established a relationship with Lieutenant Jim Gordon, but is still feared by the cops and criminals alike. From what we’ve seen, the game will be making some potentially great and exciting changes to the character to tell a solidly original story. Telltale’s major announcement post-gameplay was the inclusion of multiplayer—sort of. It’s called Crowd Play and it will allow you to poll others to help you call the shots. The feature will allow friends to sign in online and offer their take on what you as Batman or Bruce Wayne should do: anything from the color of Batman’s gadget lights to whether he brutalizes a criminal or takes it easy. You’ll be able to have the crowd call the shots or completely blow them off. Servers were not active at the time of the event, so it took place entirely live (we’ll get back to that element in a bit). The response to the game was appropriately wild. The crowd was greeted by part of the production crew from Telltale Games and DC, including Bruce Wayne’s voice actor Troy Baker. Baker has actually voiced the character before, as well as the Joker and a handful of other Batman characters. But while anyone could have played the game for the crowd, only a Dark Knight could truly be the one… In the form of Greg Miller dressed as 1960’s Batman. The suit showed off as much of Miller as the game did of the series, which is quite a bit. Props to Greg for sweating it out. A small Q&A took place before and after the gameplay, which saw Miller play through the entire first episode. Telltale’s track record proved its value to tell a new Batman story. The development team knew that after a string of fantastic Batman games in the Arkham series, they’d have quite a bit to live up to. But at the same time, they set the correct type of expectations with fans in the crowd: they do not make action games. 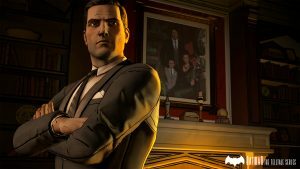 Dialogue-driven games in Telltale’s strengths could really work well in the Batman series’ favor, as this game will feature about 50 percent Bruce Wayne. It won’t be without its action, though, and the first episode really proved that with some interesting detective elements as well. We’ll opine that Batman was ultimately the best decision for Telltale and DC because of the expansive rogues gallery that Telltale can pull from. As for the crowd play itself, it’s certainly a fun type of event we’d recommend attending if you get the shot for one of Telltales’ games. Based on just this SDCC event, the crowds will be raucous and the panelists highly entertaining. And who knows—you might experience some technical difficulties! Sound issues and other operational hiccups actually proved to be some of the funniest moments of the night. Plus, considering what time we’re living in right now, the decisions from the crowd weren’t entirely devoid of Pokemon GO arguments. 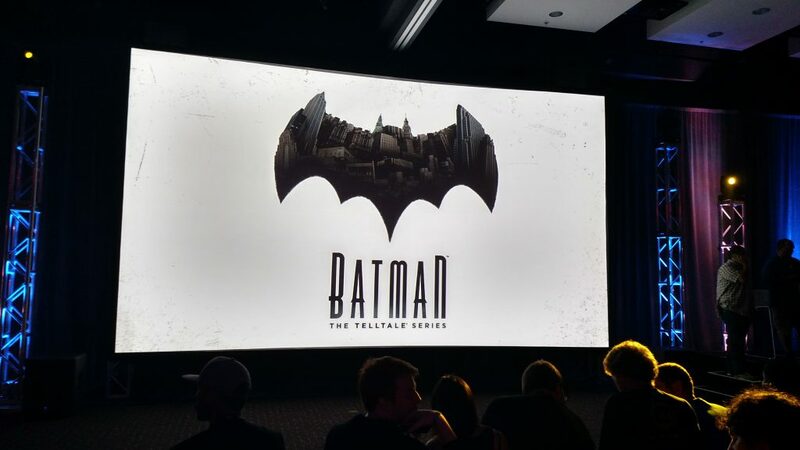 Batman: The Telltalle Series releases August 2, 2016 for digital and September 12, 2016 for disc.